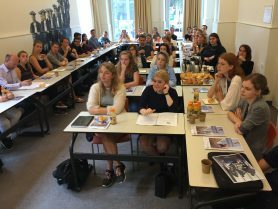 On 6 September the new master’s programme the Cultural History of Modern Europe started with 40 students. The programme welcomed the new students during an enjoyable day of introductions, a tour through the local Railway Museum, and a BBQ. 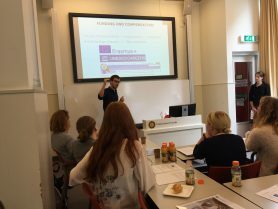 Faculty members offered a glimpse of key elements of the programme such as internships and the final thesis, gave tips on time management and study abroad, and presented their perspective on core concepts such as cultural heritage. The programme started with two parallel tracks: one offered in English (in which the programme welcomed students from a.o. Australia, China, Greece, Ireland, Italy, Luxembourg, the United Kingdom, and the US), the other in Dutch. 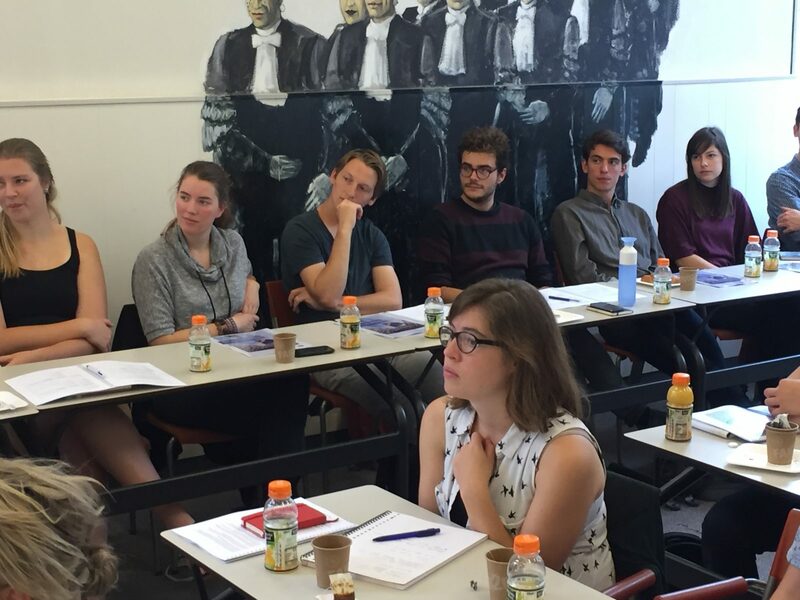 Gertjan Plets discussed the various internship possibilities of the programme.